Curt traveled all the way from Michigan to catch not one, but two! 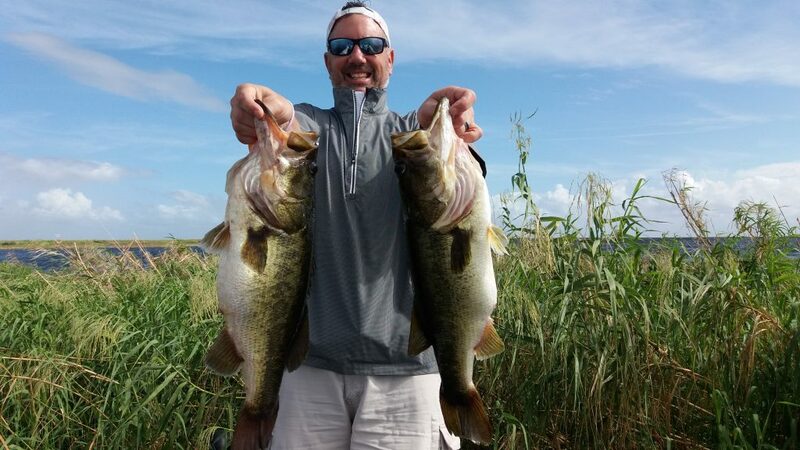 Giant Okeechobee Bass. Wild shiner fishing is taking off on Lake Okeechobee. If you have never visited lake Okeechobee you are missing the best out on some of the most exciting bass fishing in the World!